Soup "From what has been"
Суп "З того, що було"
Суп "Из того, что было"
Slice onion and fry in oil with chopped garlic. 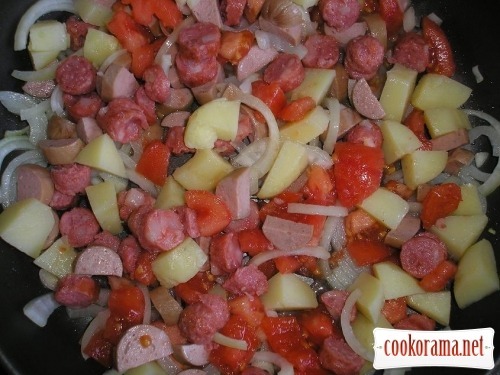 Add to onion diced potatoes, sausages, hunting sausages and peeled tomatoes. Add salt and pepper to taste. Stew for 10 min. 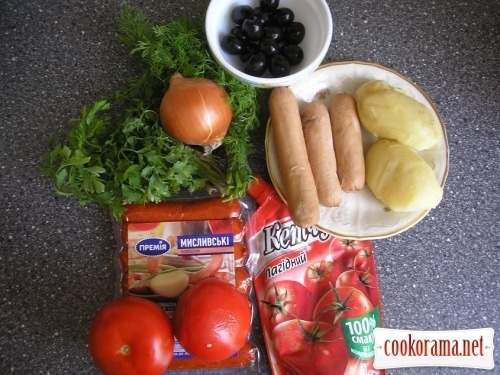 Put all in the saucepan, add ketchup, olives and about 1-1,5 glass od boiling water. Bring to boil and cook for a few minutes. Sprinkle ready dish with chopped greens. 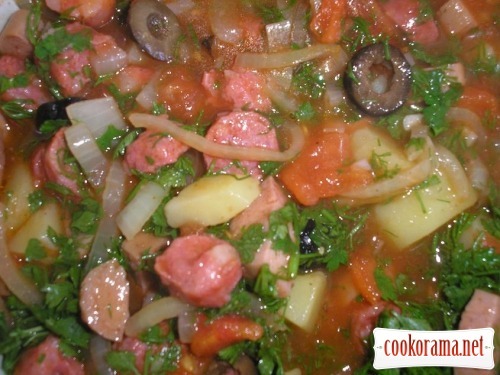 Top of recipe "Soup "From what has been""
Thai soup "Tom Yam Kung"
Recipes, Meat soups, Soup "From what has been"